Elanee's Endeavors ! 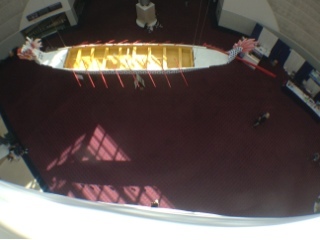 : Ocean Conference Highlights, and Experiences! 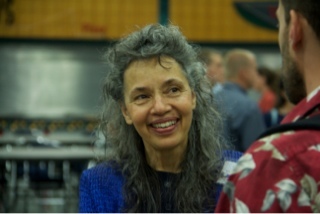 In late June we were blessed to be able to attend the 2013 Oregon Homeschool conference. 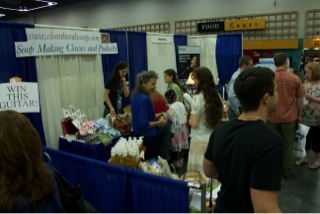 After a couple weeks of preparations and making over 500 bars of soap, we were ready for the booth at the conference. Here's some pictures of the event. 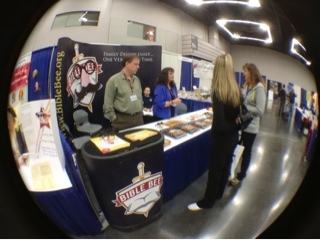 It was super fun to be across from our good friend's the Davises booth for the National Bible Bee. http://www.biblebee.org/ I especially enjoyed reviewing memory verses with their kids when we had breaks in our customers. 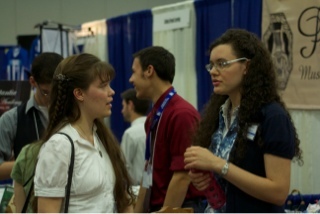 A few days before the conference we had our first guests from the A Candle in the Window Hospitality Network http://acandleinthewindow.com/ contact us. So it was extra fun to have two brothers staying with us for the duration of the conference. (It felt like my two older brothers were home again.) 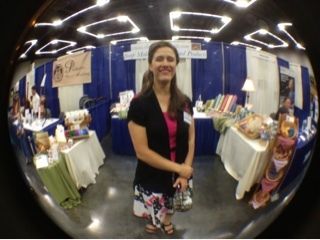 One of them even helped out with our soap booth, and really made selling and communication look easy. I'm sure our booth wouldn't have been as sucessful without his help. Thank you Ross! Mom really enjoyed helping out at the booth, and she was even so sweet to manage the booth herself for a few hours so that I could have some time to fellowship with friends. Speaking of friends:) words cannot express the great joy I felt to see the S. family again. I was so grateful that God allowed us to be able to spend time with them, and although (as always) time seemed to pass way too quickly, it was such an answer to prayers to spend time with them. I know God has everything in life worked out for His glory, but sometimes living that out is hard. Life just wouldn't be the same without such good friends. Back to "business":) Our booth seemed to be endlessly filled with people, either friends or customers, and at times it became hard to make sure everyone was being helped, but, it was so fun, to be able to help out with the booth, and meet new people. 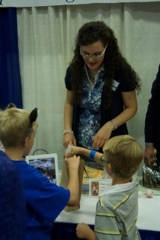 One of my favorite parts of the booth, was being able to help the kids make soap balls. 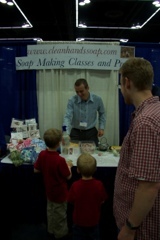 It was a great way to get them involved in the fun of soapmaking, without much effort. 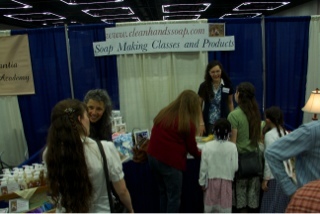 It also gave time to talk with the parents about our soapmaking classes. Overall, our booth was very sucessful, and super fun to be a part of. I'm so grateful that God gave my sister the idea to have a soap business. 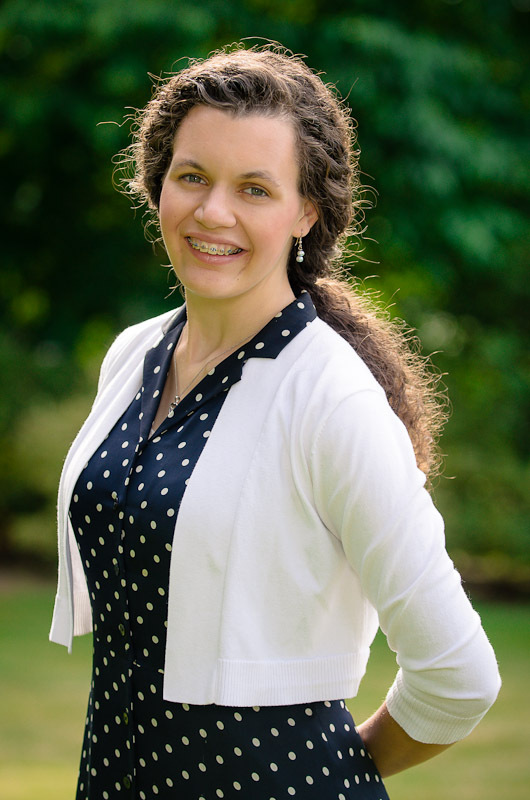 Not only has it been a great ministry opportunity, but it has also helped me to learn many valuable skills that will be useful for all of life. 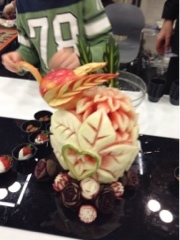 This is an amazing watermelon sculpture that was at one of the vendor booths for a cooking school. 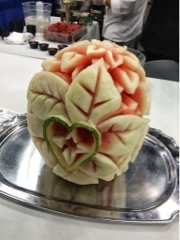 The intricate details of these carvings reminded me of the great detail that God put into each one of our lives. Sometimes we look at the painful cuts of life, and wonder what they're for, but it helps to remember that without the cuts we wouldn't be able to see the masterpiece. 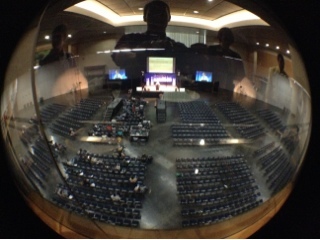 Evan managed to get access to the top balcony and view the auditorium from above. Although I wasn't able to listen to any of the sessions I heard that the speakers were great, and people seemed really encouraged by the messages. 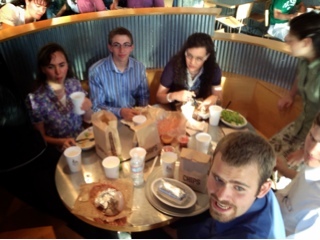 After we cleaned up our booth at the close of the conference, I enjoyed several hours of much needed time with friends, and then we headed over to Chiplote with a few families to finish off the evening with food and fellowship. Oh what a blessed body of Christ we have been invited to know, sometimes I think we take advantage of each others company and assume it will be everlasting, but then through circumstances beyond our control, when we are separated from one another, we come to realize how much we need one another, and how selfish we were to take for granted our time together, and overlook the special privilege we have to be part of such a blessed body of Christ. Recently,I have learned the importance of gratefulness, and how much I have to be thankful for. Sometimes I never realize what I had until it's gone, and when I've realized it's gone it's too late to get it back. I hope and pray that God may redeem my foolishness, and restore me to the joy of the blessings he bestows when I wait upon Him and keep His ways. Here's a poem that has recently touched my heart on the subject of gratefulness. Thank you God for the gift of life, for the friends and the family surround me. Thank you for the hardships you've put in my life to help me look to you, thank you for the relationships in my life, and even though some may be severed, they are not lost. Thank you for the great trust I can have in you. Thank you for the joy of salvation, and the blessing of eternal life. Help me to not be selfish and overlook your gifts, help me to always be grateful and treat each moment as a gift that could be my last! You're welcome! Sometimes when I write it's not as much for other people as it is what I need to hear at the time! That was fun to read through! Thanks for posting! You're welcome:) It was so fun to see you all, and spend time together.